A Diamond Select Toys release! Rey has crisscrossed the galaxy in search of her destiny, and now she's arrived in the Milestones collection! 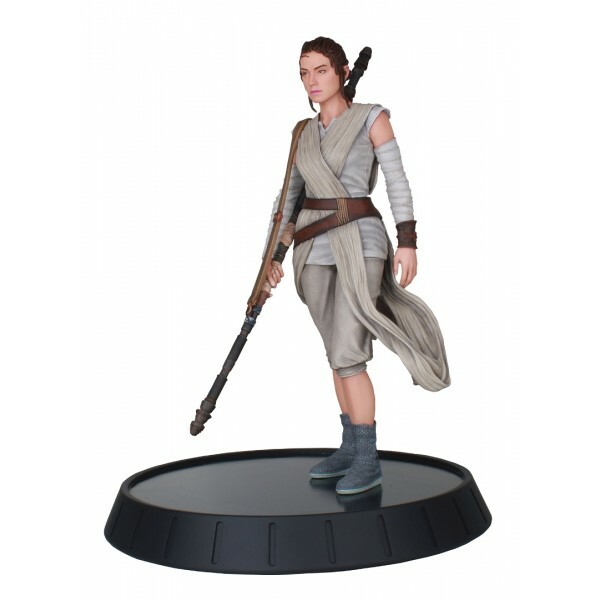 Based on her appearance in Star Wars: The Force Awakens, this approximately 11 inch resin statue is in scale to all Star Wars Milestones statues, and comes packaged in a full-color, hand-numbered box. Limited to 1,000 pieces. Designed and sculpted by Gentle Giant Studios!